Brynux OS is developed as part of Spinning Planet Limited's research and development projects. It's been in development for over 10 years and first started as Spinning Planet OS which is what Spinning Planet use as it's web server software to host websites and email accounts for clients in the United States, Australia and New Zealand. Brynn started working on the desktop version of brynux when he migrated his staff from Microsoft Windows to Linux. 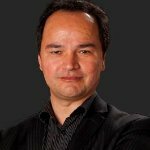 He wrote a blog describing the migration here: Free software is better for business. As the name (brynux) connotes, it's a version of the Linux Operating System. To be precise, it's a Fedora Remix with the defining difference being the system/application configurations designed by Brynn Neilson to make Linux more user friendly and custom RPM packages made by Brynn. Another key diffentiator of brynux is that it comes pre-installed on a USB stick making it mobile and easier for novices to install. * Please Note: As of 2016 Brynux OS is no longer available as a Brynux Stick but it can now be downloaded for free so you can make your own stick. Only brynux.com is a certified seller of brynux sticks so don't purchase from any other online retailer because it will be a fake product and could be dangerous. 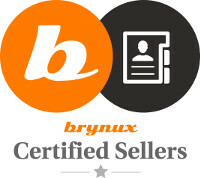 If you are an established retailer and are interested in selling brynux contact us. The Fedora Project community is absolutely amazing and their OS is the heart of brynux. There are too many contributers inside the Fedora Project to thank but as you come to love Linux you'll learn about all the great organisations and people behind the Open Source movement. Google (Docs, Sheets, Slides, Calendar, and GMail) for a creating a free cloud based alternative to Microsoft Office. VLC for making a media player that plays anything. Skype, Dropbox, VirtualBox, etc for creating free proprietary software that can run on Linux. Blender, Inkscape, Gimp, Audacity, Mozilla and many other software developers for creating great Open Source software for Linux that is comparable to their expensive commercial counterparts. My friend Simon Anderson who introduced me to Linux back in 1999. The Palmerston North Linux Users Group (PLUG) for promoting Linux in our community. Brynux, being a Fedora Remix, technical information is subject to the U.S. Export Administration Regulations (the “EAR”) and other U.S. and foreign laws and may not be exported, re-exported or transferred (a) to any country listed in Country Group E:1 in Supplement No. 1 to part 740 of the EAR (currently, Cuba, Iran, North Korea, Sudan & Syria); (b) to any prohibited destination or to any end user who has been prohibited from participating in U.S. export transactions by any federal agency of the U.S. government; or (c) for use in connection with the design, development or production of nuclear, chemical or biological weapons, or rocket systems, space launch vehicles, or sounding rockets, or unmanned air vehicle systems. Experienced Linux users can download and make thier own brynux stick for free here.